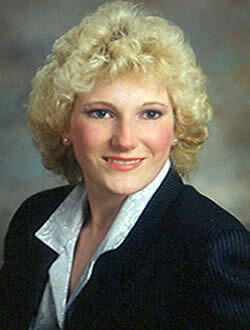 Sherry D. (Polach) Baldwin was born and raised in Wisconsin Rapids and a 1983 graduate of Wisconsin Rapids Lincoln high school. She attended UW-Stevens Point, majoring in Science Education, prior to transferring to Milwaukee Area Technical College for Mortuary Science where she graduated in 1991. She served her apprenticeship in Milwaukee and became licensed as a funeral director in 1991. Sherry was employed as a histologist by the University of Wisconsin Madison School of Veterinarian Medicine in the department for 5 years then transferred to the Wm. S. Middleton Veterans Hospital where, in conjunction with the University of Wisconsin Hospital, worked in Anatomical and Forensic post-mortem pathology services for 8 years. Sherry currently continues to assist in the field of forensic pathology in Dane County. Other special interest include; Special Events Supervisor for the UW Camp Randall Football Stadium and Kohl Center in Madison, Baraboo Elks Lodge #688 chair officer, and creating cartoon characters, some which hold copyright licensure. David was born and raised in Watertown, Wisconsin, and a 1980 graduate of Watertown Senior High School. He attended Madison Area Technical College prior to transferring to the Milwaukee Area Technical College of Mortuary Science. He received an Associate Degree in Mortuary Science in 1991, and served his apprenticeship in the Milwaukee area. 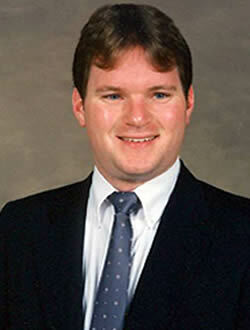 David completed his State and National Boards exam and became a licensed funeral director in 1991. David has worked as a funeral director in Watertown for several years, and later, was employed for over 12 years at a Madison funeral home. In 2003, he and his wife Sherry, moved to Baraboo where they currently own and operate the Baldwin Funeral Services on East Street. Hobbies and interests include, woodworking, collecting stamps and coins, and bowling; outdoor activities with swimming, water skiing, biking, hunting and fishing. In addition, David is also active with service organizations in the community with the Elks Lodge, Optimist Club and Masonic Lodge.